Provide comfort for the family of Bryant Mank with a meaningful gesture of sympathy. Bryant W. Mank, Sr., 78, of Rockland, passed away at the Knox Center in Rockland on December 15, 2018. Bryant was born on August 17, 1940 in Warren, Maine to Burleigh Mank and Addie (Miller) Mank. Bryant attended local schools and was a member of the First Baptist Church of Waldoboro. He was a farmer and laborer for most of his life. He worked at Morse’s Sauerkraut in Waldoboro and was also a custodian at the Medomak Valley High School. He retired from work so he could stay home and take care of his wife. In the summers he planted large gardens and cut his firewood. He enjoyed his Ford 8N tractor. He spent time watching NASCAR racing, old westerns and old movies and listened to old country music with his wife. Bryant was an active CB radio ham and enjoyed talking with others. After Bryant moved to the Knox Center he took annual summer trips to visit his wife’s grave at the German Cemetery. He was a dedicated provider for his family. 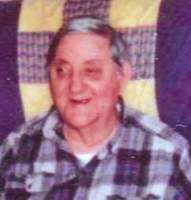 Bryant was preceded in death by his wife, Joyce (Creamer) Mank, son Bryant Mank, Jr., sisters Lorraine Seekins, Madelyn Hall and Gertrude Moody, brothers Burleigh Mank, Jr., Vernon Mank and Floyd Mank. He is survived by his daughter Lorie Mank and companion Dalton Crummett of Washington, grandson Braden Crummett of Washington, and a sister Doris Paulsen of Florida. Visiting hours will be held on Wednesday, December 19, 2018 from 5-7 p.m. at Hall Funeral Home, 949 Main Street, Waldoboro. Funeral services will be held on Thursday December 20, 2018 at 2:00 p.m. also at Hall Funeral Home, 949 Main Street, Waldoboro. Burial will be in the spring at the German Cemetery in Waldoboro. The family wishes to thank the Knox Center and its staff for their wonderful care for the years that Bryant resided there. We encourage you to share your most beloved memories of Bryant here, so that the family and other loved ones can always see it. You can upload cherished photographs, or share your favorite stories, and can even comment on those shared by others. Provide comfort for the family of Bryant W. Mank Sr. by sending flowers.